CBD OilThere are 6 products. Zambeza Seeds presents the purest, most potent CBD oils available in Europe and across the world. Our oil comes in three concentrations: 2.5%, 4% and 10% for mild, normal and strong doses to suit the needs of every customer. All of our oils are sourced from 100% European industrial fiber hemp and contain no herbicides, fungicides, pesticides or other chemicals and contaminants, that could potentially harm the consumer or the environment. Products undergo thorough purification to remove the unsavory waxes, chlorophyll, mold and other additives found in unfiltered, “crude” oils. Using clean CO₂ extractions, we are able to maximize CBD content, without forgoing the broad range of ancillary cannabinoids and terpenes, that make our oils uniquely effective. Zambeza CBD oils strictly comply with all CBD regulations, containing less than 0.02% psychoactive content. CBD oils are liquid at room temperature and are easy to use and transport. Convenient dropper bottles allow customers to accurately dose and retrieve every last bit of oil in the container. Our lower two concentrations of 2.5% and 4% are available in three sizes: 10, 30 and 50ml. Our strongest dose of 10% appears in 10 and 30ml volumes. Zambeza CBD oils are easily consumed by squeezing 1-4 drops under the tongue or on food 1-3 times a day as a regular dietary supplement. 2.5% (10 ml) CBD oil is our most mild variety - perfect for new customers! All of our oils are sourced from certified organic EU hemp and undergo rigorous quality assurance testing to ensure absolute purity in every bottle. CBD oils are non-psychoactive and retain a full terpene spectrum for optimal results. Sourced from pure and certified organic EU hemp before undertaking the most vigorous quality testing to ensure optimal purity in each and every bottle, Zambeza Seeds 2.5% CBD oil contains a rich spectrum of terpenes and is entirely non-psychoactive to ensure the highest quality CBD dietary supplement. As a purveyor of the finest CBD oils on the market, Zambeza Seeds 4% CBD oil is potent and 100% all-natural. Our oil is made from organic EU hemp and is chemical and THC-free. Our products go through extensive testing to ensure the utmost quality in every bottle. 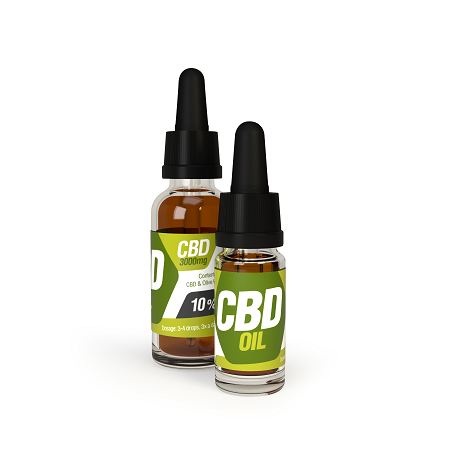 We undergo a thorough and extensive testing process for each phase of production in order to guarantee the highest quality of each and every bottle of our 4% CBD oil 50ml. The oil is made using only the finest organic hemp grown in the EU under strict regulation, ensuring our potent oils are 100% natural and of the highest standards. Our 4% oil is ideal for regular users of CBD. 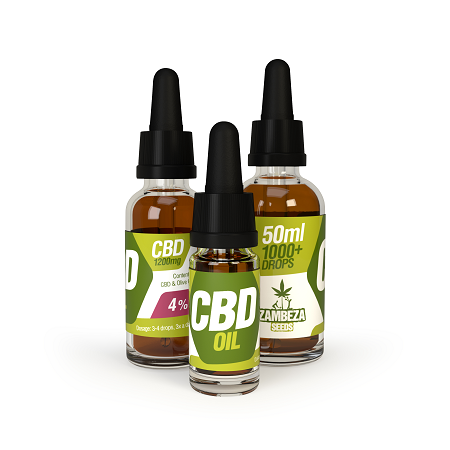 Zambeza Seeds 10% CBD oil is one of the strongest varieties you will find on the market today! Our oil is made with 100% all-natural EU hemp and doesn’t contain any herbicides or chemicals. CBD oil is non-psychoactive, so you’ll never have to worry about side effects. Our 10% CBD oil is about as potent as it gets for dietary supplements. Using only the best all-natural organic EU hemp, our 30ml 10% CBD oil is one of the purist you can get on the market as it is entirely free of any herbicides or pesticides. The Zambeza 10% CBD oil is one of the most potent varieties available as a dietary supplement, yet it is completely non-psychoactive so there is no need to worry about possible side effects. CBD Oil - The best quality CBD available! Cannabis is a plant we call many different names, such as MJ, Mary Jane, Sensi, Ganja, weed and so on. Cannabis has become a very recreational substance, that people use to chill out, enhance their creative process, but also for medical purposes. In cannabis there are more than 80 compounds, but in this article we are going to talk about the compound CBD in the form of oil: CBD oil. Pure CBD oil is made out of extracts of the hemp plant, for these hemp plants sprout the scouted seeds in which the compound CBD is the most dominant. CBD is a non-psychoactive cannabinoid, so you cannot get high or stoned from it. CBD oil has a more curative effect and is beneficial for a lot of health related issues. A naturally occurring cannabinoid and the second most abundant constituent of the Cannabis plant. CBD is legal and safe to consume, yet has long been in the shadow of THC. How does pure CBD oil work? Obviously it depends on a variety of factors, such as the dose, the symptoms and what you expect of the CBD oil to do for you. For a more short-term effect people use CBD oil for relaxation and to be more calm. If you put the pure CBD oil drops underneath your tongue, it will take about 15 minutes before it kicks in. With that being said, if you are taking CBD oil for other purposes, you need a longer period of usage before medicinal effects can occur. After decades where only high-THC cannabis was available, CBD-rich strains are now being grown by and for medicinal users. There is a lot of research available, that includes the use of CBD-dominant cannabis. Scientific and clinical studies have shown, that CBD could be effective in easing symptoms of a lot of conditions that are difficult to control: Rheumatoid arthritis, diabetes, alcoholism, PTSD, epilepsy, antibiotic-resistant infections and neurological disorders like Parkinson’s. Also CBD has demonstrated neuro-protective effects and there is ongoing research at several academic research centers in the US about the anti-cancer potential of cannabis. There are different methods of CBD intake. Obviously it is your own choice how you want to consume CBD, but it is useful to be informed about the different ways in which you can consume CBD oil. If you just want to smoke or vaporize your weed, make sure, that you pick up something, that contains a higher level of CBD than THC. If you are not sure what the compound balance is in your weed, then you could have it tested at a lab. But remember, THC is the psychoactive compound in cannabis, so when feeling very high or stoned, you know that your weed contains more THC than CBD. Putting cannabis in a vaporizer is a much cleaner way to take cannabis than smoking. A vaporizer makes sure the cannabinoids are vaporized at the exactly right temperature instead of burned. To have the most benefit and effect from CBD, it’s best to consume the oil version. There is no THC in CBD oil, so it does not have any psychoactive effect. You can decide for yourself in which way you would like to intake this oil, from just raw intake to an oil vaporizer. WHAT OTHER HEALTHY BENEFITS DOES CBD OIL HAVE? Terpenes in CBD oil are one of the most natural products. Terpenes have a diverse and a good range of functions in plants. Terpenes are about the smell and the aroma, this is their main function in food products and food supplements. Cannabis sativa plants have many different terpene profiles. It works the same for citrus fruits, nutmeg and many more herbs and specimens. It is clear, that pure CBD oil has many health benefits. This is also why it is a very good daily supplement for you to use. Why is pure cbd oil so expensive? In general the process of making CBD oil starts with a supercritical CO₂ oil extraction, that is used on hemp seeds and plants (stalks), and the resulting hemp oil is tested and analyzed in a lab trough an HPLC test. After this process the extracted oil is further refined at a GMP certified facility, where the purified hemp oil is analyzed for its potency and purity. At this point we have the CBD-rich hemp oil extract and we can go into our final stage: Extracting the usable oil and turning it into different CBD oil blends. At the end all oils get tested. As you can see, it is a difficult process to have the most pure CBD oil. There is a high chance, that these processes get cheaper in the next years, so the CBD oil would get cheaper too. WHAT IS THE DIFFERENCE BETWEEN CBD FROM HEMP AND CBD FROM CANNABIS? CBD is CBD, from cannabis or from hemp. With that being said, cannabis has a very low cannabidiol profile, so mostly hemp would be preferable, if we look at the CBD potency of the plant. Hemp naturally contains a high amount of CBD. There are very rare strains of cannabis, that have a very high CBD content, but like said, these are not common. Not only is hemp the ideal alternative to cannabis, but most of the time the preferable choice. IS STANDARD HEMP SEED OIL THE SAME AS HIGH CBD CONTENT CBD OIL? It is not the same! The standard hemp oil, which can be found at a cheap price at a grocery store, is a product, that is very different than pure CBD oil. Hemp oil is produced by cold pressing seeds, and extracting the oil from these seeds. In comparison, CBD oil is produced by a supercritical CO₂ extraction of the hemp plant itself. DOES CBD OIL HAVE ANY NEGATIVE SIDE EFFECTS? In general CBD and other phytochemical constituents of cannabis are considered safe. In all those years of hemp usage (this period might even span thousands of years) there is no record of anyone who encountered a major illness or fatality due to cannabis consumption. Obviously if you take "too much" of something, anything in general, some side effects will occur. So too much CBD can have a slightly sedative effect. In very high servings (upwards of 200mg of CBD per serving) people can experience something that’s being labeled as dysphoria, an unpleasant emotional state. Even if you take this much CBD it is incredibly rare to reach this state. As with most products, CBD oil is best stored in a cool and dark place. Storing your CBD oil in a UV-proof container in your kitchen fridge is a good solution, in this way you can easily reach it and use it whenever you want. The reason why we need to store pure CBD oil in this way, is because it is very sensitive to oxygen and light. So keep your CBD container closed and away from light at all times (except when you are using it of course).